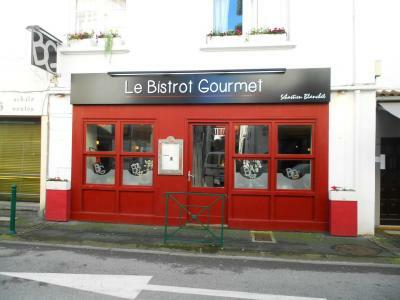 Below is a list of restaurants welcoming groups in Biarritz. Bistro Bar Restaurant, traditional cuisine, wine bar, alcohol and hard liquors, specialist of the Gin Tonic cocktail. 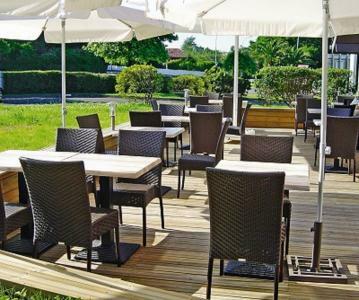 Restaurant, sea view brasserie, located next to the Grande Plage beach. Private dining room, terrace. Indian and Sri Lankan specialities, to eat in or takeout. Mexican restaurant with a vegetable buffet. A Bodega with a very Spanish atmosphere and interior decoration. Very large and nice terrace. Breakfasts all summer; at night the bar is open with DJ’s nights from October to April every weekend. Homemade pasta speciality, homemade desserts, brick oven pizzas and of course, grilled meat and fish a la plancha. Seasonal cuisine. Terrace. Cocktail bar, wine bar and brunches on Sunday. Japanese specialities: Sushi, Maki, Sashimi, Yakitori. To eat in or takeout. Speciality: flammekueche and good meals with a beer. Breton creperie, salad bar, ice-cream maker, tea house. Friendly welcome even at a late hour and fish is good and hearty. Bar and brasserie in the heart of slot machines. 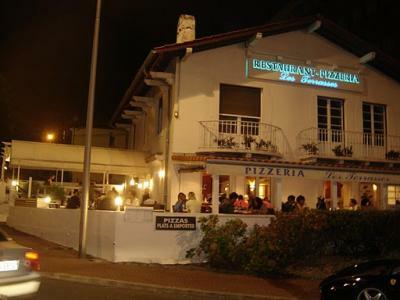 Spanish restaurant with Basque specialities. Very warm welcome, tasty dishes, good wine: a pleasant moment with a festive atmosphere and not only after matches! Enjoy its fish, seafood, Gillardeau oysters, meat and homemade desserts. Enjoy “workers” menus for lunch and dinner during the entire week. You can have group meals and birthdays during weekends by reservation only. Traditional Italian restaurant. Specialist of homemade fresh pasta. Take away meals. 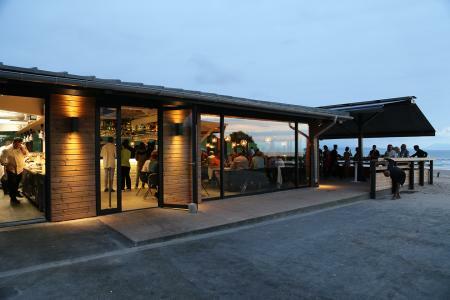 An exceptional environment with a very nice terrace to spend a good time, eat and drink happily while facing the ocean. The restaurant is located at the Port des Pêcheurs (Fisherman’s Warf). 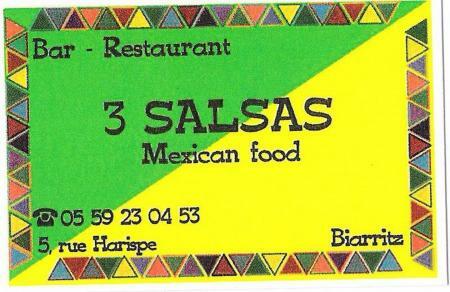 Its specialities: grilled meat, fish, planchas and tapas. The Surfing is a brewery on the beach, you will find a fresh kitchen, a small map, daily suggestions, dishes to share, good humor, a friendly welcome, all to the spot of the Basque coast. Traditional cuisine, fish, meat. Group meals, playground for kids. Free car park. Broadcasting of all matches and sports events all year round. Very sophisticated Italian cuisine. Your meal will be accompanied by Italians wines (sparkling or not). You can eat inside or on the terrace. 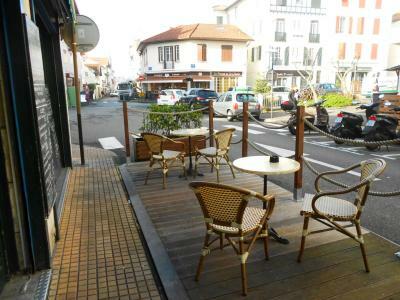 In the holy district Charles - pleasant Terrace - Maïtena welcomes you from Monday to Saturday from 7:30 am. Free WIFI access. Free car park. 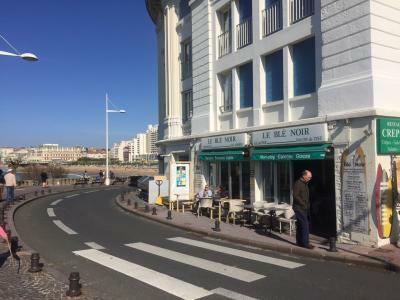 Restaurant and creperie in the Port Vieux area. Cosy, musical ambiance, trendy parties, tapas…in a beautiful environment. Terrace. Brasserie with a bar section, also serving galettes (plain round flat cakes) and crepes. For lunch and dinner, salads, buckwheat pancakes, savoury tarts and sweet pies, crepes, ice-creams. 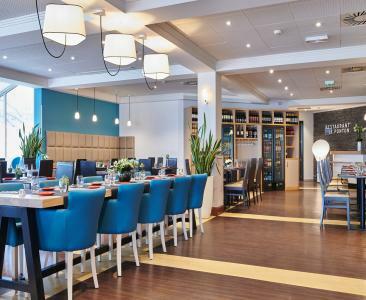 Restaurant of the 3-star hotel Le Biarritz. A traditional cuisine that changes over the seasons. Sea view.